The original potteries built in 1860 (at the Foley�district of Fenton, Staffordshire) by Henry Wileman were named Foley China Works.� The first�Shelley to join the company was JB Shelley, who started work as a travelling salesperson in 1862.� In 1872, JF Wileman and JB Shelley went into partnership to form Wileman & Co.� In 1881 Percy Shelley also joined the company.� His three sons, Norman, Jack and Bob, joined Shelley in 1918.� Bob's two sons, Alan and Donald, also joined the company in 1946. 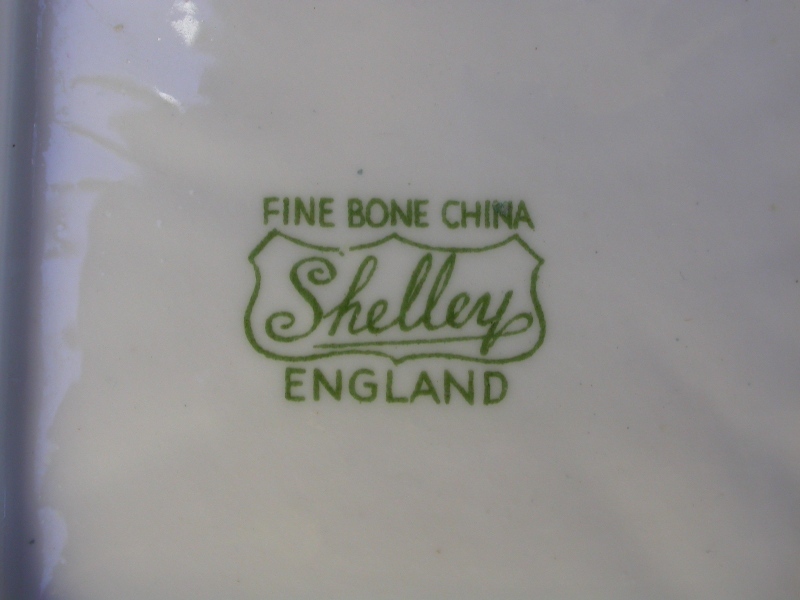 The trade name used by Wileman & Co was Foley China.� From 1890 to 1910 the name Foley or Foley China, was used in conjunction with the name Wileman & Co.� In 1910 the trade name was changed to Shelley, but between 1910 and 1916 the words "Late Foley" were still being included in the backstamp.� This caused confusion because a number of other companies were also using the name Foley, as this was the name of an area that had a lot of potteries.� From 1912 the name Foley was dropped from the backstamps and only "Shelley" was used.� The company name was changed to Shelley in 1925.� It became a limited company in 1929.� In 1965 the name was changed yet again, this time to Shelley China Ltd. 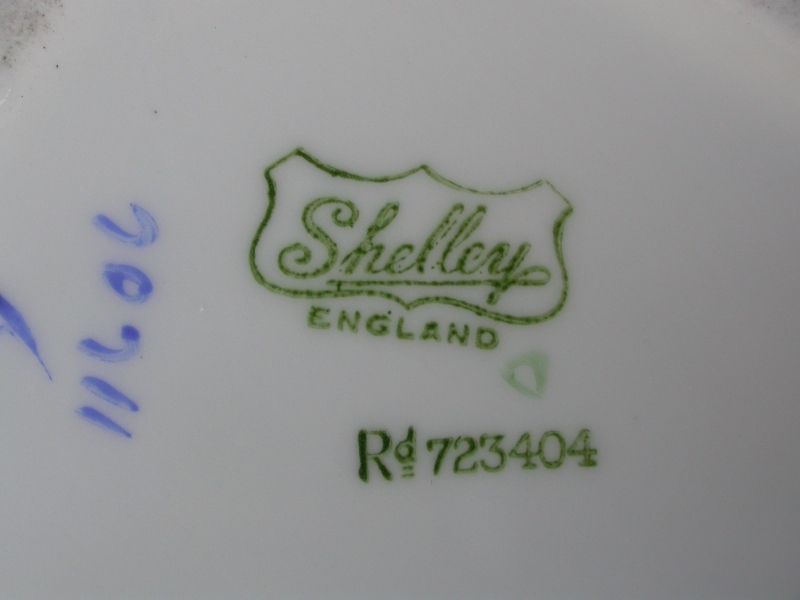 In 1966 Shelley China Ltd came to an end when it was taken over by Allied English Potteries.